The Group Flow Workshop Project by Mikey Siegel. The workshop is centered on the presumption that technology can be practically employed to enhance our ability to be mindful. In this circumstance BIOPAC Systems, Inc. technology, MP40 hardware, was employed in a group physiology measurement session. Each participant, 24 total, was assigned an MP40 unit. The MP40 can be set to read Electrocardiogram, Electrodermal Activity or Respiration, among other options. Data of this type was collected simultaneously from all participants, via MP40 units. A single 24 channel sound I/O interface was used as the computer A/D. Physiological data is carrier-modulated, so as to be read successfully by the sound card, running under Maxmsp. Maxmsp is used as output control too, so to drive the individual pucks seen in this video. 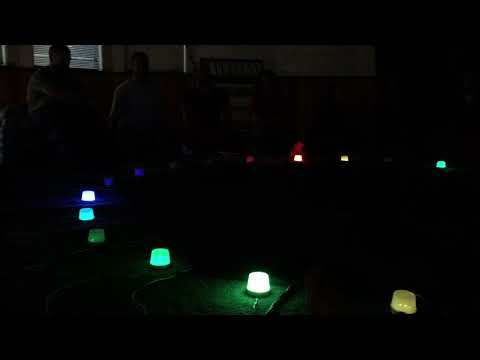 Each puck illuminates when the related participant’s heart beats. Additionally, a sound is assigned to each individual’s heart beat. The Group Flow Project employed advanced biometric technology to allow the subtle signals generated by the human heart to become observable in a group setting. The heart’s behavior is influenced by the sympathetic and parasympathetic nervous system. Sympathetic stimulation speeds up the heart and parasympathetic stimulation slows it down. The heart’s behavior is a reflection of processes that moderate our bodies, brains, thoughts and actions. 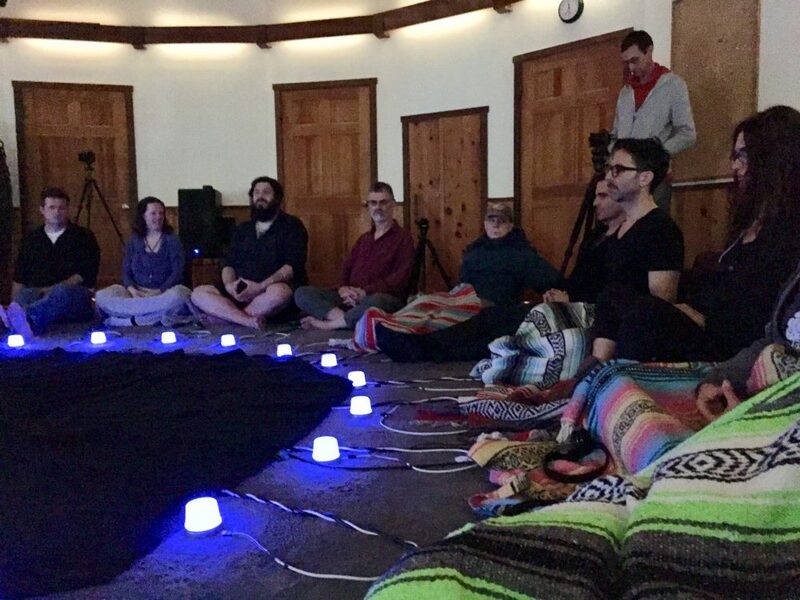 The Group Flow Project allows collective exploration of this endogenous time period, that being “prior to judgement”, and gives a voice and a language to this personal and shared human quality.